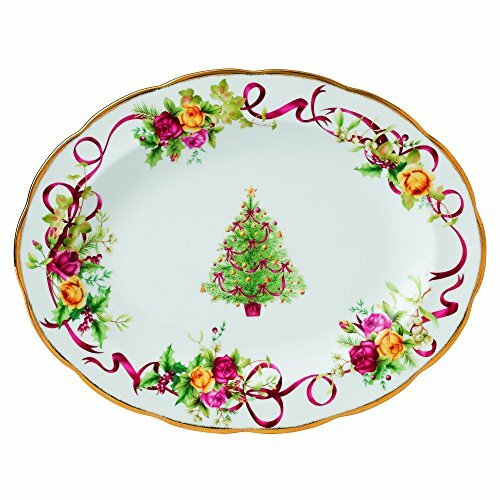 Royal Daulton Old Country Roses Christmas Tree Serve ware adds a seasonal touch and warmth to any table. This Christmas Tree 3-Tier Cake Stand features a beautifully decorated Christmas tree outlined with a holiday themed Old Country Roses design and iconic gold rim. If you have any questions about this product by Royal Albert, contact us by completing and submitting the form below. If you are looking for a specif part number, please include it with your message.